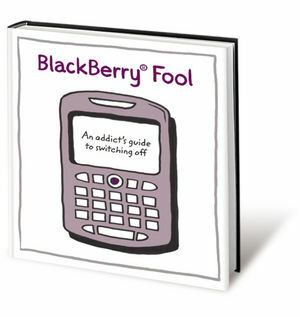 Are you a BlackBerry addict? Or worse still - do you live or work with one? You know who we're talking about... eye always on their palm, little leather case always on the table... sound familiar? From the Blackberry Whine to the Blackberry Crumble, this little guide will help you recognise the seven major symptoms and, more importantly, tell you what to do about them. Whether you want to break the cycle of abuse, or you just want to break someone's phone, you'll find this book more effective than self-hypnosis, less painful than repetitive strain injury and cheaper than a divorce. Nicholas Bate is founder and MD of Strategic Edge, a consultancy founded 20 years ago with the simple aim of enabling individuals to realise and release their true potential. Nicholas runs personal excellence seminars and workshops and is a lecturer at Warwick University on the MBA programme. His previous titles include: How to Sell and Market Your Way Out of This Recession and get Your Business Buzzing Like Never Before (even though your customers don't want to know), Instant MBA, Being the Best and JFDI: The Definitive Guide to Realising Your Dreams.